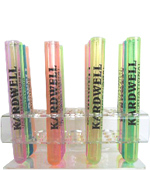 These Glasses are Imprinted with Any Design You Choose - New Lighted and Blinking Glasses Now Available! 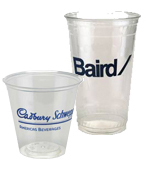 You can have customized plastic glasses with the design, copy, and imprint colors of your choice. Plastic Pints, Mugs, Shooters, Hurricane Glasses, and Stemware are available in over 100 different styles, including our unique and popular lighted and blinking variations! 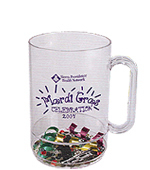 Custom-Imprinted Glass Drinkware is also available. We use durable, precision-molded acrylic plastic, as well as a DPI-dense imprinting process to ensure that your designs are clear and long-lasting. 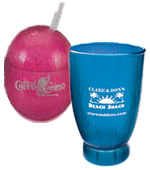 Your satisfaction is guaranteed when you order drinkware from us. 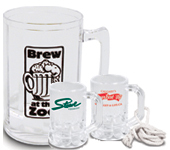 It's easy to have your own imprinted glassware. Simply call 1-800-233-0828, and submit your camera-ready artwork to graphics@kardwell.com. Delivery time is about 3 to 4 weeks after proof approval. Rush delivery is available for an additional charge. 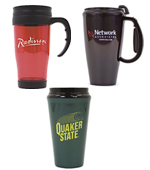 For a FREE Catalog or more information on Custom-Imprinted Glasses, please contact us at 1-800-233-0828.